Bah. Whatever that means. So this was the dish that I made. Patch doesn’t eat shellfish so he picked up some shellfish and the rest was my responsibility. This is an extremely simple dish. The secret is to get fresh ingredients. One of my favourite places to get seafood is from The Lobster Man in Granville Island. It is not too expensive, what you would expect a proper fish store would charge (T&T, Superstore, etc are not fish shops!). 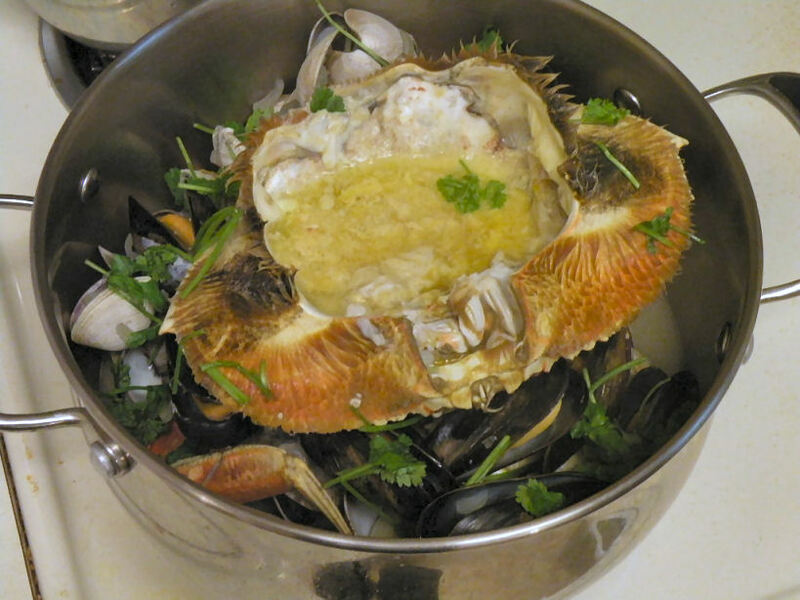 My 2.5lb crab was $25, and mussels and manila clams were $5 per pound. I got a pound each of mussels and clams. This is a pound each, total of $10 altogether. 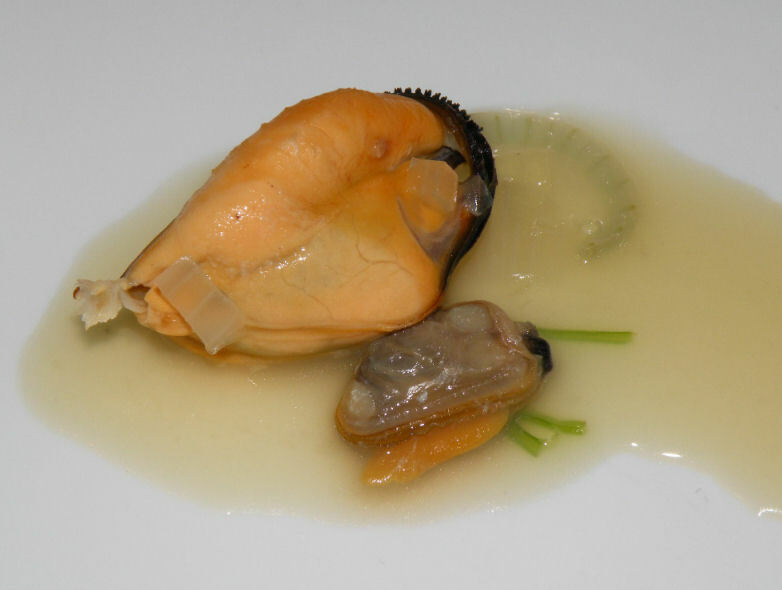 If you were to get this at a restaurant, it would cost you over $15, for the mussels alone. 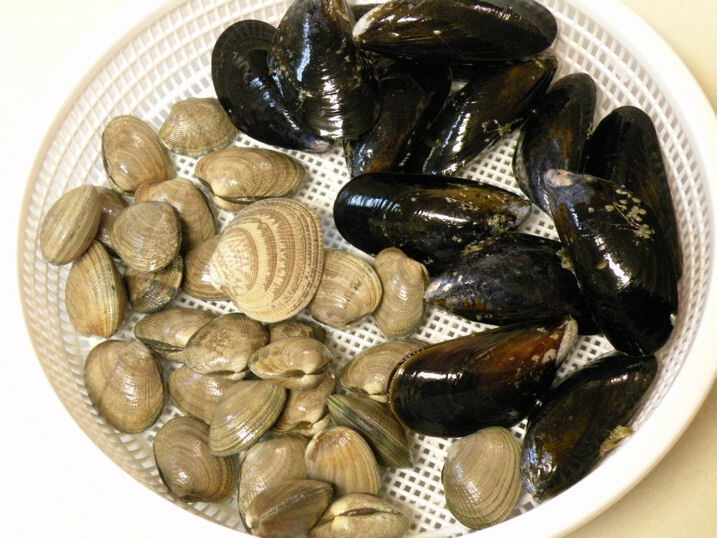 Scrub the clams and mussels clean with a hard bristle brush. I bought mine from the dollar store. I'm sure restaurants don't spend 15 minutes scrubbing your shells clean! 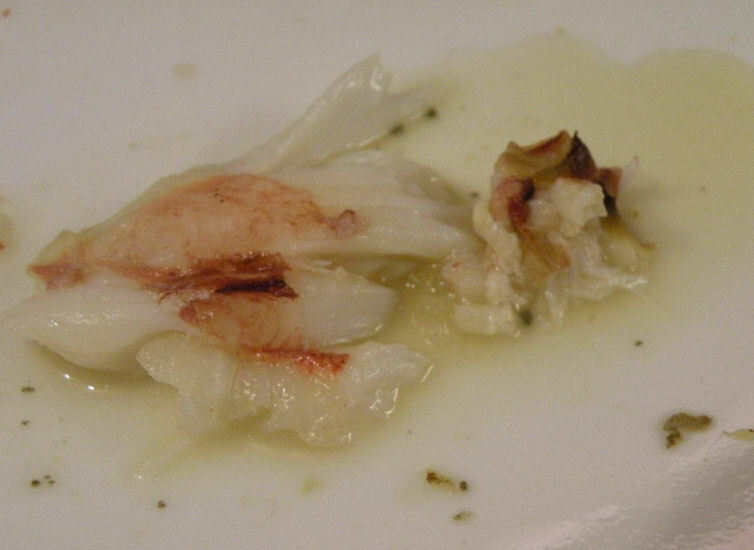 Ask your fish person to chop split the crab for you. 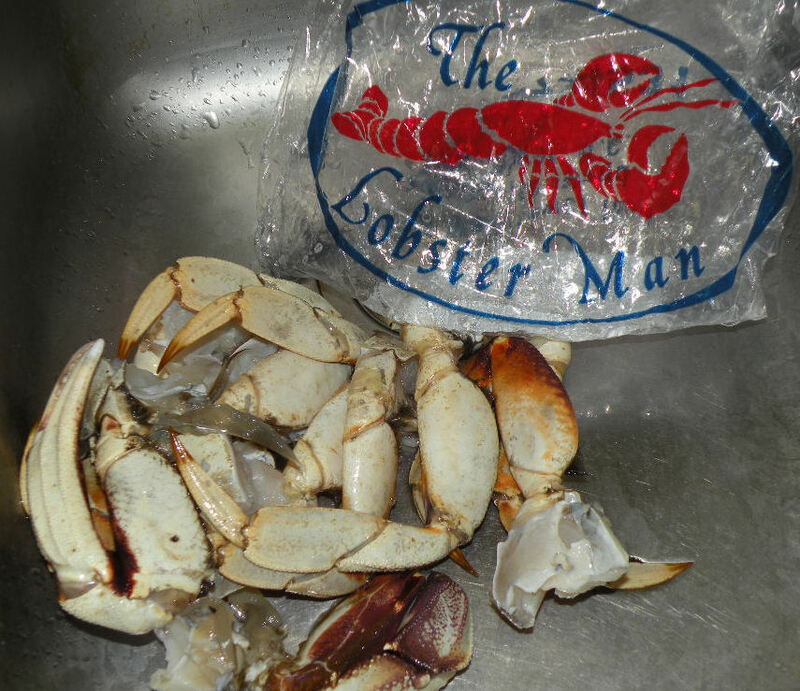 At The Lobster Man, they know how to cut it by asking you how you want to cook it. Scrub the crab clean. Don't Eww me about this. 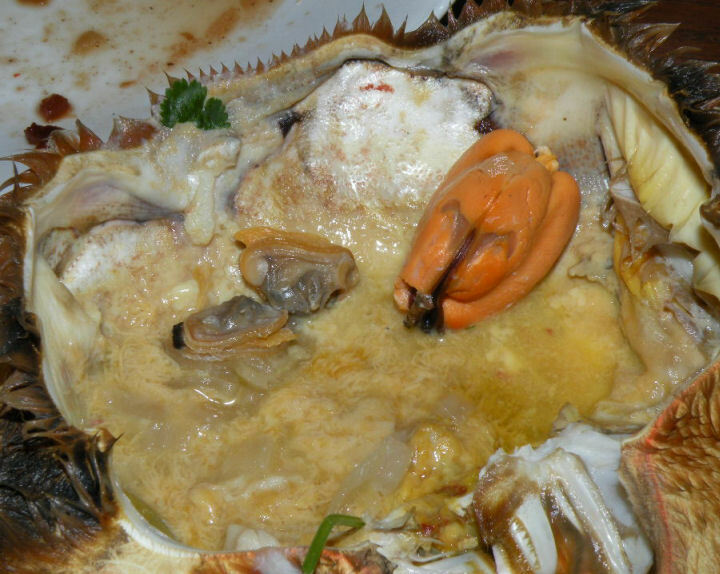 This is crab guts/brains, the BEST part of the crab. Slowly run cold water through the shell (it comes out of the mouth area) to clean the brains and gunk until the water runs clear. I love crab guts and prawn brains. 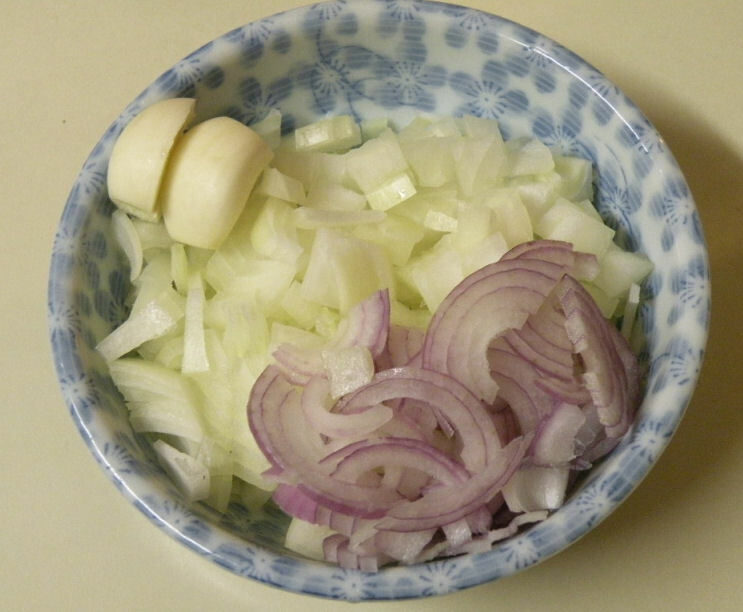 Chopped shallots, small onion, and 2 whole garlic cloves. 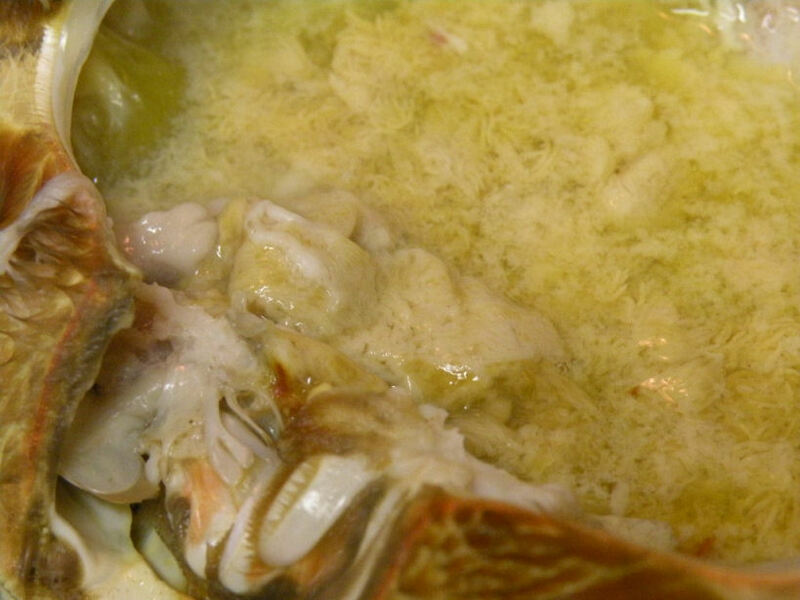 You don't want to overpower the taste of the shellfish meat with onions and garlic. 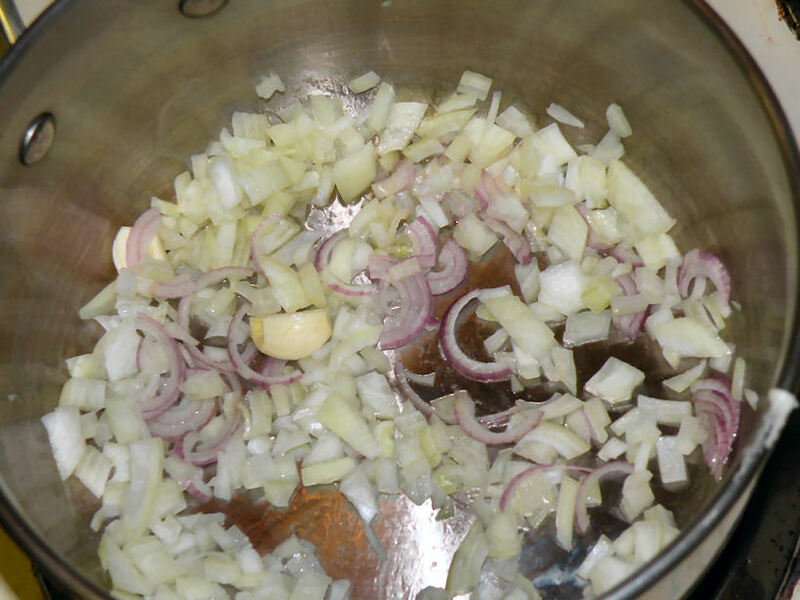 Saute the shallots, garlic and onions. It doesn't matter if it's fully cooked. The purpose is to get the flavour out. 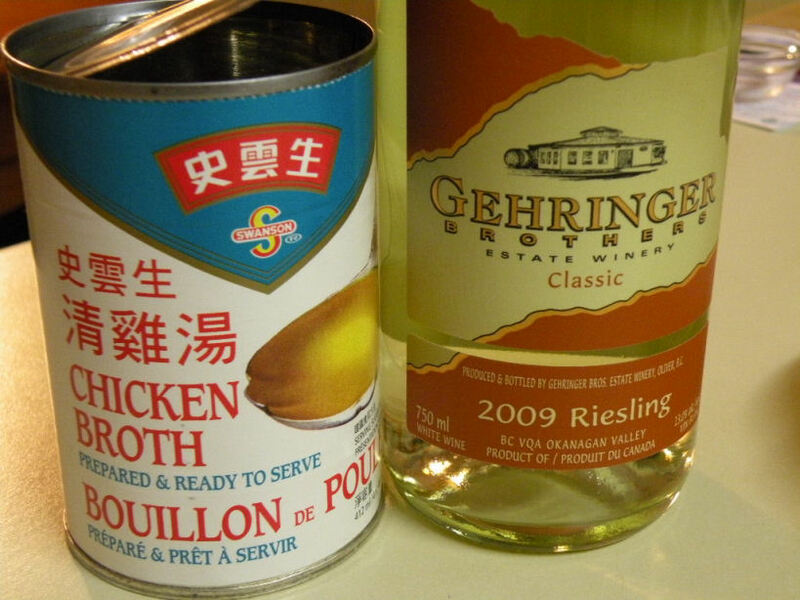 Add half a cup of salted chicken stock and a dash of white wine. My definition of a dash is close to 2 cups. 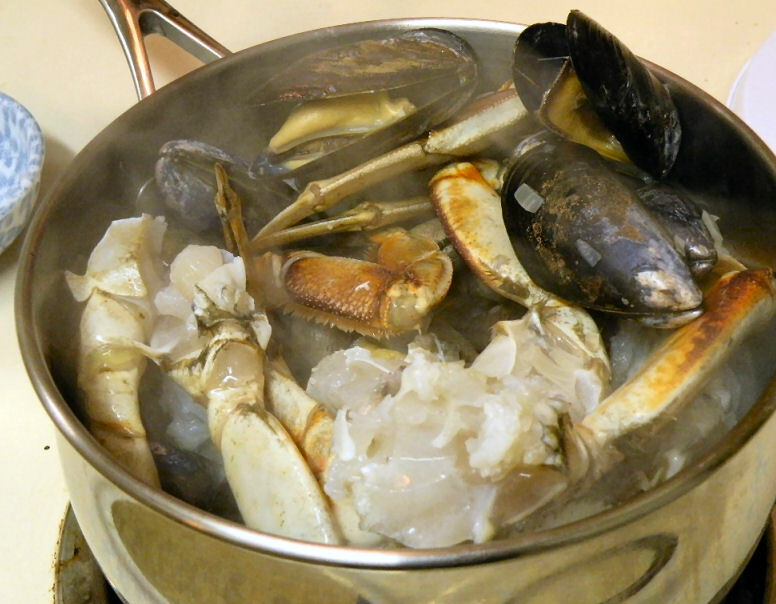 You can add as much or as little stock/wine as you want as long it's enough to simmer and steam cook the shellfish. 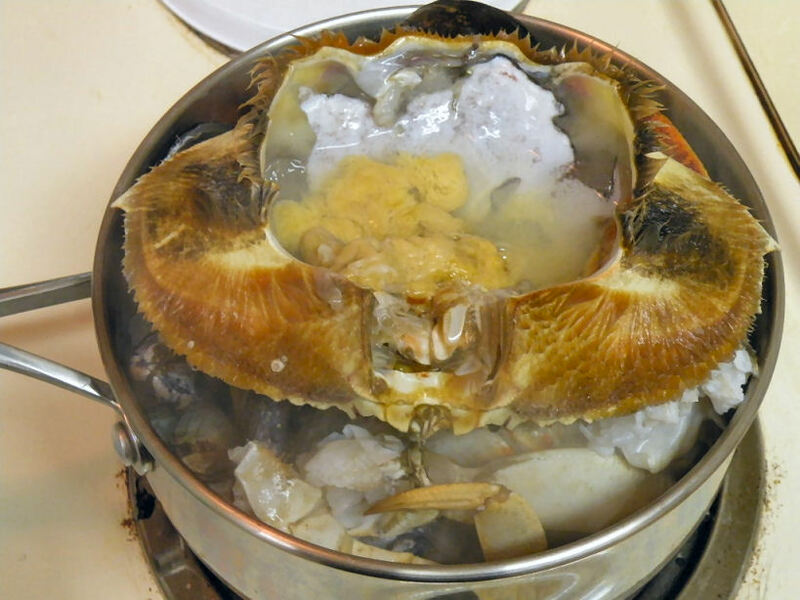 Place the crab, clams and mussel into the wine stock. Order of placement does not matter. Don't close the lid yet! The steam party doesn't begin until the crab shell hops on top. Pour some more wine into the shell... only if you really want to. Don't do it because I said so because frankly, I poured the rest of the bottle into the shell and pot already. Here's the AFTER photo after 7-8 minutes simmering on medium heat. 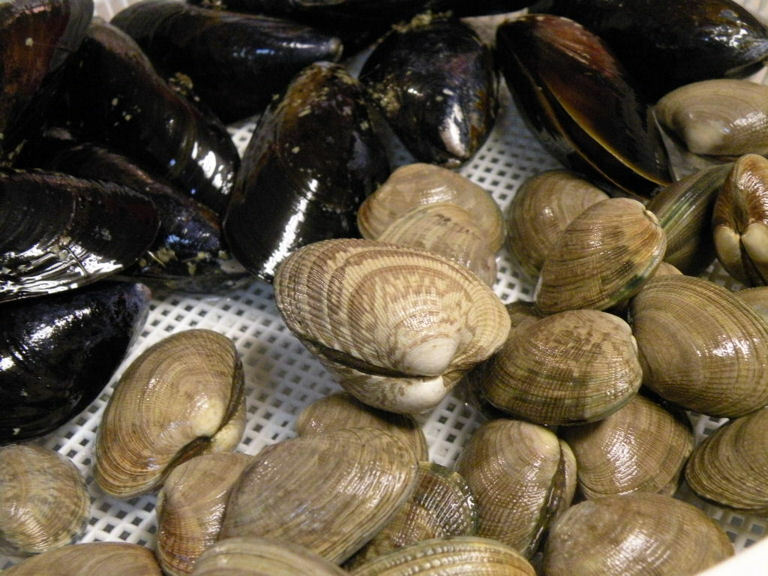 You don't want to overcook shellfish or else it will taste rubbery and not as juicy. I find that out of the 3, mussels are the hardest to cook perfectly. Sprinkle cilantro on top and serve. Just to show how much I LOVE DRUNK BRAINS. Look at that, how could anyone thinks that's gross? Brain juice is the new booster juice. Sweet juicy mussels and clams. No seasoning needed at all. $25 for a 2.5 lb crab may seem over priced to some. 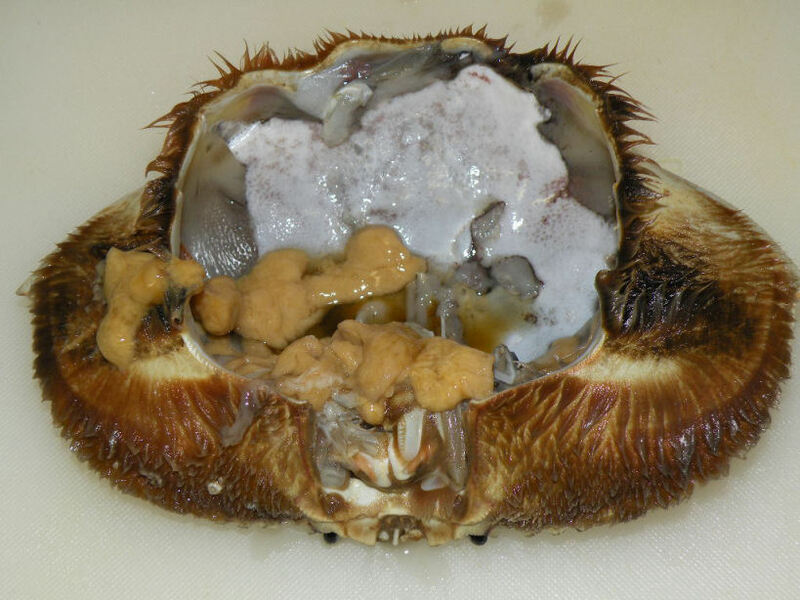 But you can definitely taste how fresh this crab is, once you try it, you won't be going back to supermarket crabs (I was guilty was that before). 24 hours ago, this crab was just enjoying life on the east coast. Patch asked why I had to ruin the photos by dunking them in the crab shell. Well, there you go. The post may be flooded with pics but it takes less than 10 minutes to make (not counting shell scrubbing preparation). It was my favourite part of the meal (don’t tell Patch that)! Posted on February 21, 2011, in The Dinner Table, Vancouver Eats and tagged clams, crabs, granville island, recipes, seafood, shellfish. Bookmark the permalink. 7 Comments. So simple yet so delicious. The seafood juice(jhup) probably went well with steamed rice. Yum! Thanks for posting. you’re welcome, I enjoyed writing these posts LOL! impressive……a girl that can eat! I love this kind of meal and like Patch, BR is not interested…. Maybe you and I should start a club…Girls with Guts or something like that..haha! Thanks for posting all the yummy looking photos!